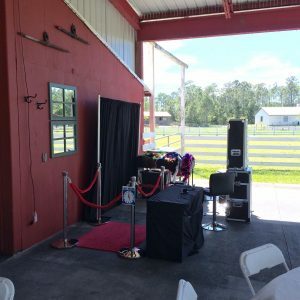 We Rent For Any Event!! 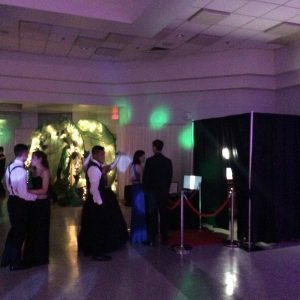 Photographers capture a party guest in a moment of time. 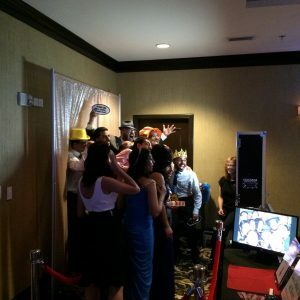 However, photo booths will capture your guests in the moment. 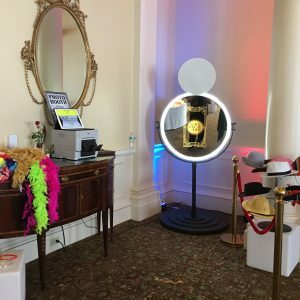 Photo booths are entertainment and posterity all rolled into one wonderful party accessory. 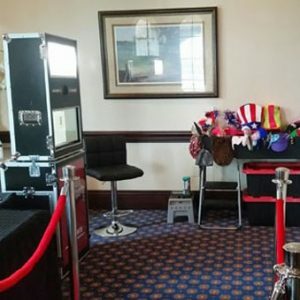 A photo booth naturally brings out the adventure in every guest. 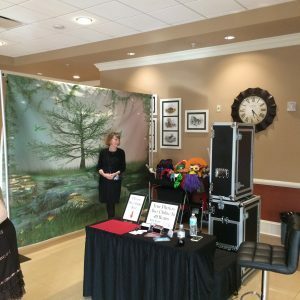 These candid pictures are a great way to remember the fun you had at an event. 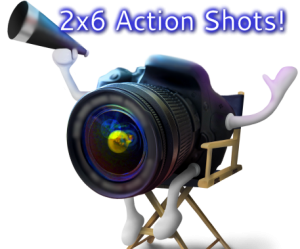 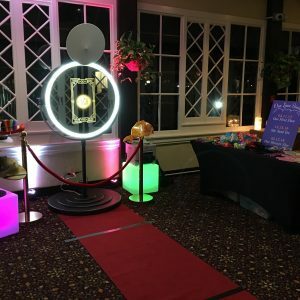 Its not just the photo booth that makes it fun, it is all the props that come with a photo booth rental. 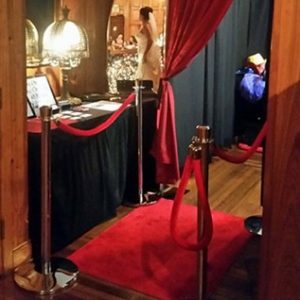 Neat hats, masks, boas and other props that guests can hold or wear when they step inside one of our photo booths. 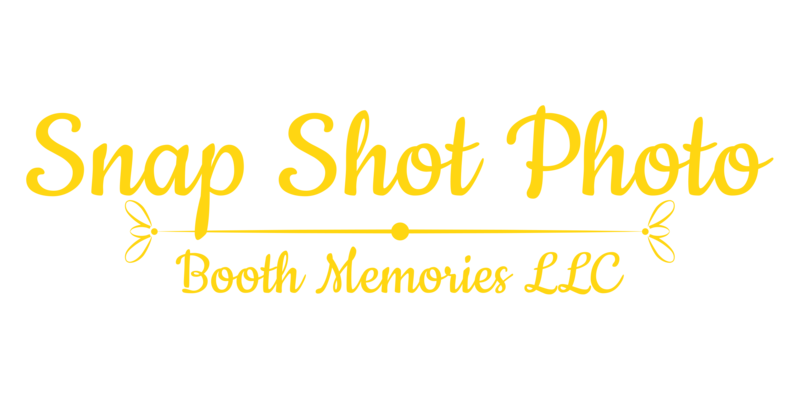 Our Photo Booths are expandable from a 4 foot wide square to a 7 foot wide square with a ceiling height of 7 feet. 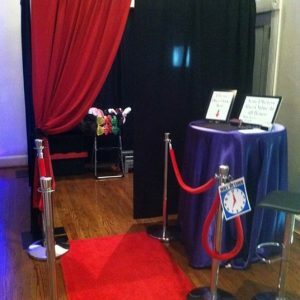 We also offer a larger Photo Booth to accept even more people. 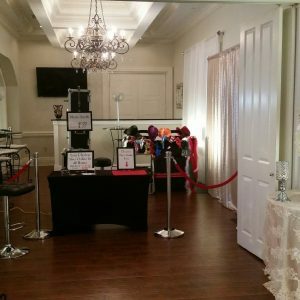 It’s also expandable up to a size of 11 feet wide by 11 feet square with a ceiling height of 7 feet. 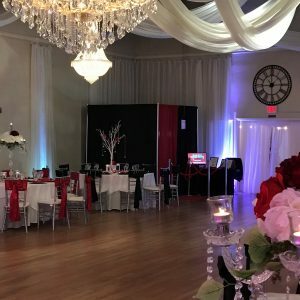 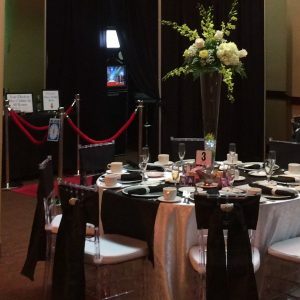 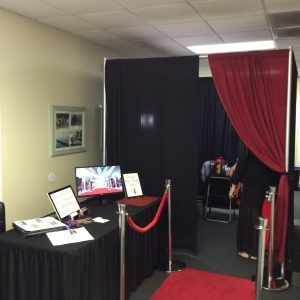 This Booth is perfect for large corporate events! 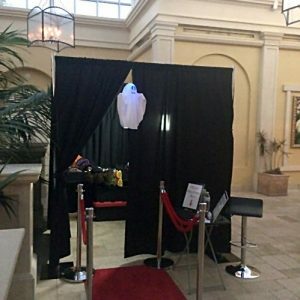 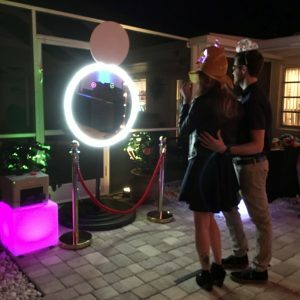 We also offer an open air Photo Booth System with no sides! 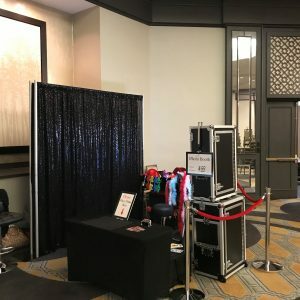 Our Photo Booths Are All Wheelchair Accessible! 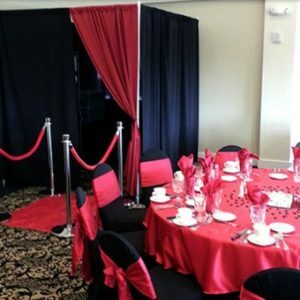 Backdrop Colors Are: Plain Black – Plain Red – Sequin Black – Champagne Blush Sequin.